High heating and cooling bills are usually due to air leaks in exterior walls, floors, ceilings, and ductwork; misapplied or no insulation; incomplete window treatments; or inefficient or incorrectly sized heating & cooling systems. In California, some people blame the utility cost structure. High utility bills are by far the most common home performance complaint. On average, in the United States, 30-40% of energy used for heating & cooling is wasted just by air leaks. The claim is sealing air leaks can save 5-30% of heating and cooling costs. Conditioned air leaks out and unconditioned air leaks in. For recent houses, all the air is exchanged every 2 hours. Leaky houses tend to lose it all every hour. The solution is air sealing. It’s impossible to get them all, so get the big ones—especially the ones built in. Even if you could get all the holes today, tomorrow there will be some because the house moves. Studies show 25-40% duct leakage on average. If the leakage is all inside the house, then, in theory, energy is not wasted. (It just doesn’t get where it needs too.) However, if the ducts run through the attic or crawlspace, it’s all lost. A lot may also be lost through unfinished basements. The solution is air sealing the ductwork. Ideally, it should all be sealed, but it’s most important to seal those outside the shell. For insulation to work, it must be against an air barrier (air sealed walls, floors, and ceilings). In addition, air flow through or across it must be avoided. In addition, there must be enough to make a difference. Often, it’s falling off the walls, blown out of place, coming out of the floor cavities, or forcefully installed such that it is compressed and doesn’t fill the cavity. Older houses simply don’t have enough insulation. The solution is to add at least the minimum amount of insulation required by your building code while following the manufacturer’s instructions and recommendations. Check your building code for additional application requirements. Once the house is built, it’s not easily to change the location of windows, so one has to work with what they have. Single-pane windows can be replaced with dual-pane ones or have storm windows installed. Windows can be shaded with landscaping, solar shades, canopies, curtains, blinds, and other things to keep solar radiated heat out and heated air in. Understanding the need to seal air leaks, add insulation, and protect windows is easy. Getting your head around how heating & cooling systems are inefficient requires the help of an expert. I wish I could say your neighborhood HVAC contractor was your best bet, but he or she installed in the first place. Ideally, you need a home performance contractor specializing in heating and cooling systems. There are many inefficiencies, including improper refrigerant charge, duct matching, duct leaks, oversized equipment, missing insulation, missing ductwork, un-tuned equipment. The list goes on. It may be best to start by designing the system and then make appropriate improvements. California’s PG&E’s customers have a unique cost structure. Their customers can have some of the high residential utility bills in the Country. I will discuss this a separate blog post tomorrow: California’s Utility Cost Structure. We can’t do much individually about increasing costs for coal, gas, propane, and oil. As we deplete these resources, costs will increase until it becomes cheaper for us to switch to something else. However, we can control how much energy we use, which can be lower by addressing these energy hogs. 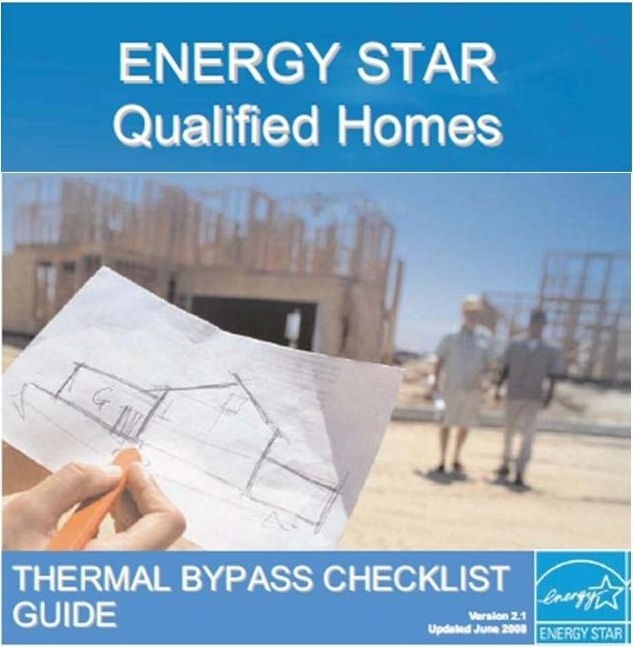 The ENERGY STAR Qualified Homes program has an excellent builder’s guide showing the construction details needed to improve the energy performance of a new house. Many of these same practices are used to improve existing houses. The ENERGY STAR program also shows how to make these home energy improvements in existing houses. Next, we’ll move the spot light to a special case high energy use: Hot or Cold Rooms!